Welcome to rejuvenated Cleveland, Ohio, for the Swarm/Human Blended Intelligence 2015 (SHBI2015) workshop to be held on September 28-29, 2015 at the DoubleTree by Hilton Cleveland East in Beachwood, Ohio. A block of rooms are being held for the workshop and can be reserved by clicking on the link room reservation. Attendees are invited to participate in a blended Swarm/Human event at John Carroll University, a sponsor of the workshop. 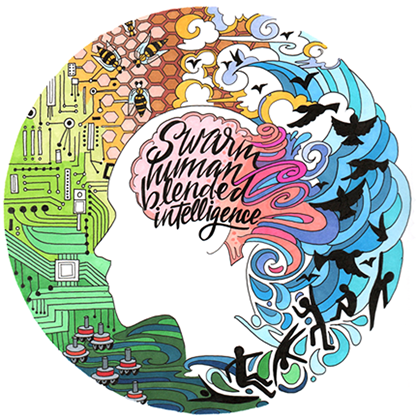 The theme of SHBI2015 is to provide a platform for researchers, academicians, government employees and contractors to share and exchange information in the swarm intelligence research areas which focuses on Human/Swarm interactions. Authors are invited to submit their original and unpublished work related to blended intelligence, including research, theory, development, and applications. John Carroll University is sponsoring the SHBI2015 workshop with IEEE Cleveland Section providing a Technical Co-Sponsorhip allowing the workshop to appear on the IEEE Conference Search/Call for Papers listing. Also, IEEE is the copyright holder and papers accepted will be published through IEEE Xplore. This workshop is also hosted in cooperation with ACM. We hope you will join us at this exciting event, and look forward to seeing you in Cleveland in September.